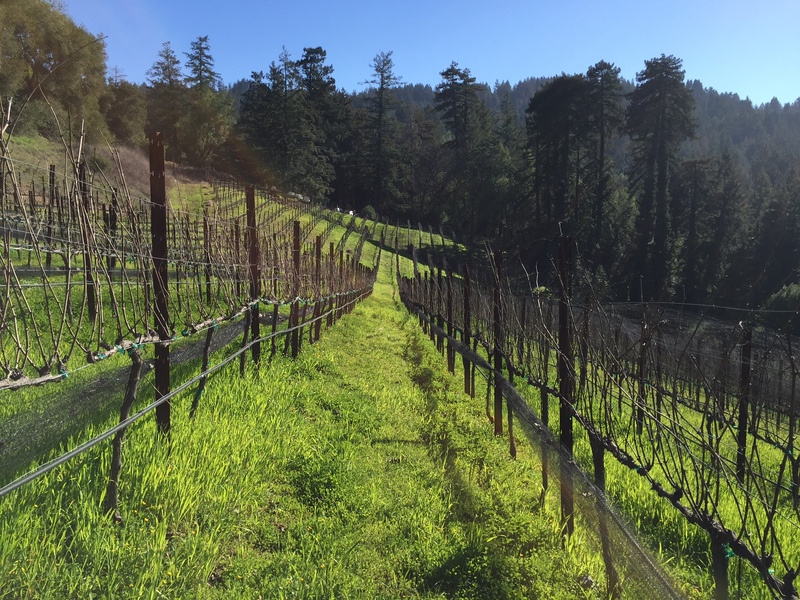 Although this January has been quite a lovely one here at Regale, with uncharacteristically sunny and clear skies, our Estate Pinot Noir and Chardonnay vines are fully aware that winter is upon us. After harvest in the Fall, when temperatures drop and the first frost comes, vines enter into a state of dormancy (or as I like to call it Winterruhe from the German term for “winter rest”). January is arguably one of the quietest times in the winegrowing year, with few decisions to make as both the vines, and our winemaking team can rest and look forward to the coming growing year. During this time of dormancy, neither frost nor rain, sleet or snow can bother these normally temperamental plants. 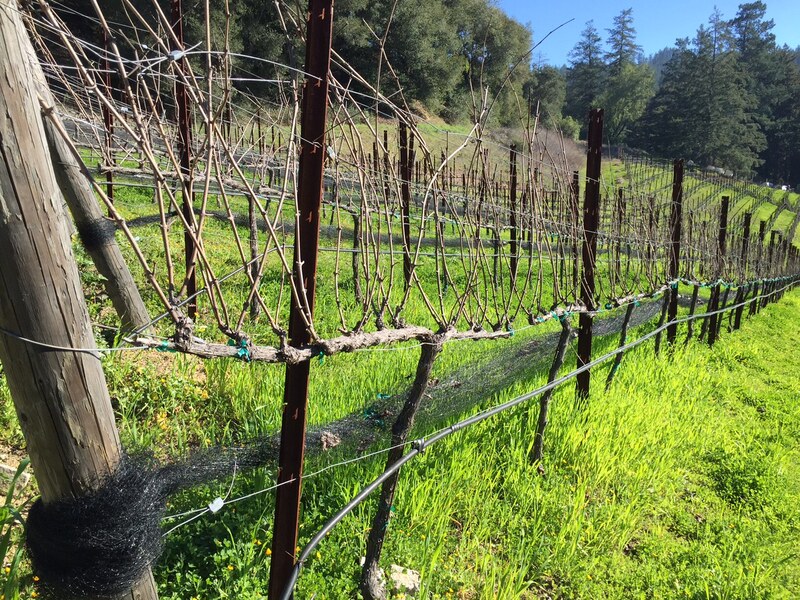 As we look forward to February, we will enter the time when decisions must be made about pruning the now fully dormant vines. But for now we will simply enjoy the beautiful days, crisp air and time off from vineyard management. One of the most common questions we hear in the tasting room is about our Regale Napa Valley Cabernet Franc, a wine that spurs much debate with its feminine body, subtle black cherry and tobacco filled out with varietally correct earthy notes. It is a unique grape that many people have not had the pleasure of tasting bottled as a singular varietal. Given its quiet history in comparison to the better known Cabernet, Cabernet Sauvignon, it’s no surprise that people frequently think Cabernet Franc is either made from Cabernet Sauvignon, or the new addition to the Cabernet world. In reality, Cabernet Franc has been around for quite some time, playing a supporting role to Cabernet Sauvignon, and predominately used for blending such as in California Meritage blends, like our Ovation, which take their cue from the world-renown Bordeaux blends. Although Cabernet Franc has in recent times been dwarfed by Cabernet Sauvignon, with its brazen charms and easy growing vines, people are often surprised to find that Cabernet Franc was actually in existence first. Indeed Cabernet Franc and the classic bright white Sauvignon Blanc bred Cabernet Sauvignon. You might be tempted to believe that this was the plan all along, but in fact viticulturists believe this was a spontaneous cross of the two varietals – a wonderful act of nature. This parentage was only confirmed in 1997 by researchers at UC Davis, which leads to further confusion as to how Cabernet Sauvignon ended up with a blend of the two names, Cabernet Franc and Sauvignon Blanc when in fact no one even suspected the link to Sauvignon Blanc. A mysterious coincidence indeed. As lauded wine author and Master of Wine Jancis Robinson writes of Cabernet Franc, it is “subtly fragrant and gently flirtatious rather than massively muscular and tough in youth. 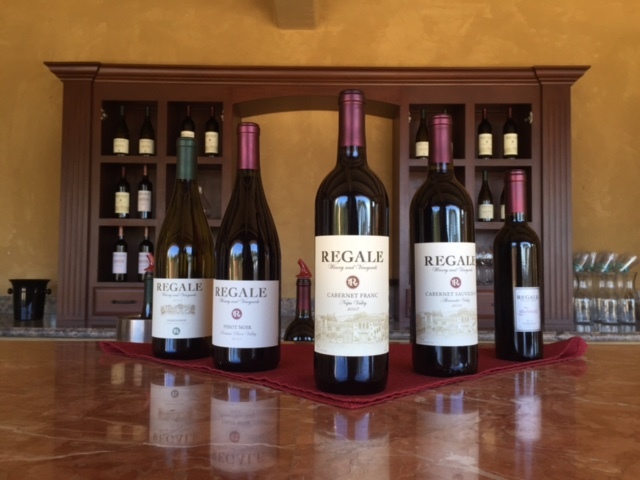 Because Cabernet Sauvignon has so much more of everything – body, tannin, alcohol, colour – it is often supposed to be necessarily superior, but I have a very soft spot indeed for its more charming and more aromatic relative, Cabernet Franc.” Here at Regale, we have a soft spot for it as well.